« Have You Met Douglas Fir? Floyd Austin Robbins was my dad. He was also one of my best friends and my greatest teacher. He was truly a great man. He lived exactly what he believed, in other words – “he practiced what he preached”. From the time he was a small boy, Dad lived every moment of his life to the absolute fullest. He literally would wake up at the crack of dawn (or before it even), and if those he loved tried to sleep he’d get them up too – to him life was too short to be sleeping – there were too many things to do and too much fun to be having! He got all he could out of every single day he lived. He could do just about anything well, even when he lost sight in his right eye at age 22 – he could still accomplish things much better than those around him who could see out of both eyes. He was my hero and I have always been, and will always be very proud of him. 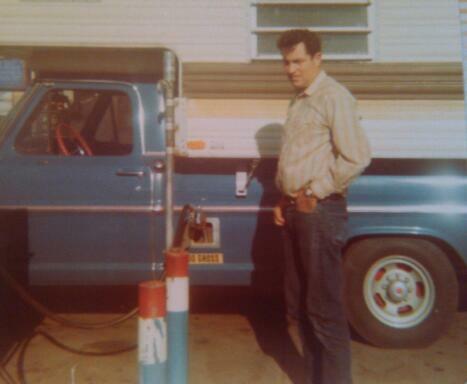 Dad had a kind and loving heart and he’d help just about anybody. He absolutely adored children from the time he was very young, and couldn’t seem to get enough of them. Be honest – you’re only as good as your word. If you can’t keep your word to somebody, then you’re not worth very much. If you say you’re going to do something – then do it and get it done. Don’t sit around making excuses. Whatever you do, do it right – so nobody has to come and clean up after you or re-do what you have done. Always give everything your absolute best and leave everything better than you found it. Tell the truth – if you do something wrong – own up to it and be prepared to fix it. If you see someone being picked on – get in there and even the odds. Don’t just stand and watch – make a difference. You can do anything you set your mind to doing, anytime you want to. You just have to decide to do it. Stand up for anyone who can’t stand up for themselves. Don’t worry about “if this or if that” – just do it – or you’ll worry your life away. Little kids are important – give them all you’ve got and then give them some more. Don’t buy things on credit, save your money and you’ll be able to buy what you need whenever you need it instead. Work hard, and play even harder. Enjoy everything you do, otherwise it isn’t even worth doing. Don’t ever make a promise you don’t intend to keep. If you know you are right about something – then stand up and say so until they know you mean business. Don’t just be a friend to somebody – be a GREAT & TRUE friend. Life isn’t fair – so you gotta make sure that you are. If you’re not gonna get out and vote – then you’ve got no right to complain about the outcome. Go the extra mile in everything you do – you’ll never regret it. My dad was fun! He laughed a lot, he had fun doing just about everything and he’d take anybody who wanted to go along. Throughout his life, he water-skied, fished, swam, camped, rode motocross, bowled, played pool, darts, golf, basketball, baseball, Frisbee, and football. 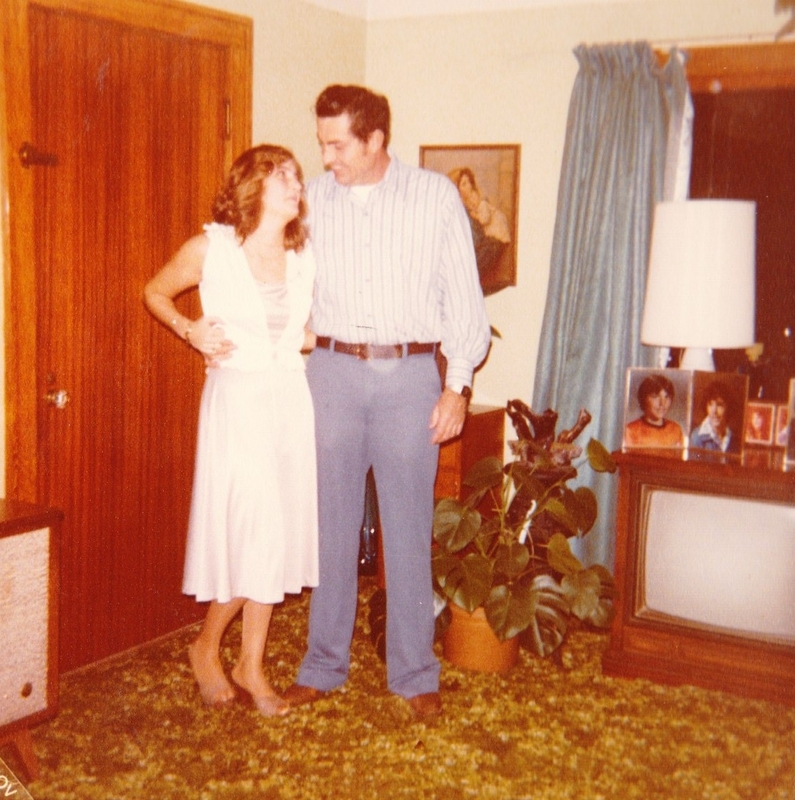 He built cabinets, beautiful shelf units and tables, and for me – a very special baby-doll cradle. He loved to restore and work on cars – and he loved to drive fast. He could even sing and dance quite well. In fact all of those things he did VERY WELL. 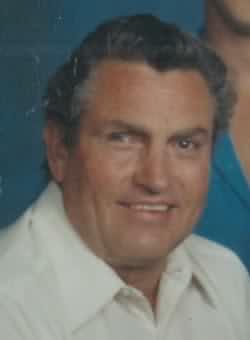 More than anything he had or did, dad treasured ALL of his family, extended family, and friends. 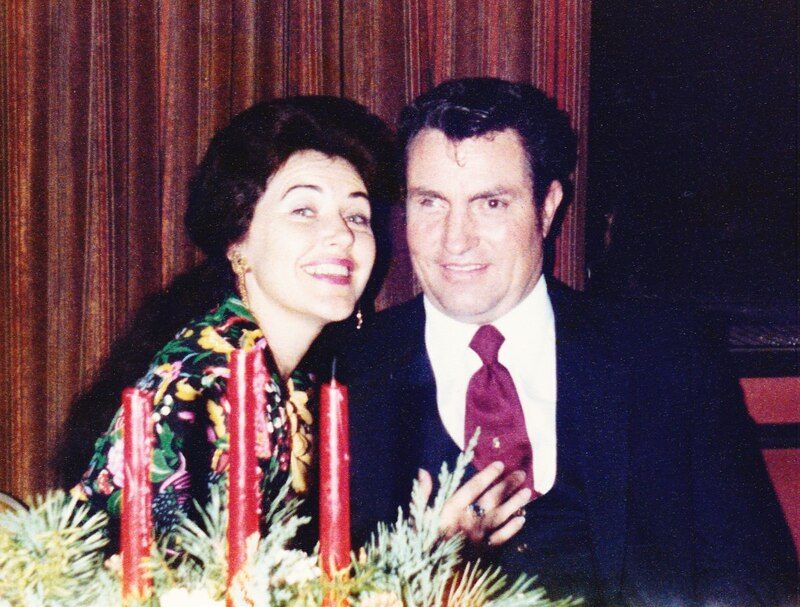 He loved each and every one of us – and he didn’t play favorites – accept for one – and that was my mother Loretta – she was his ultimate favorite for 45 years. We were all special as far as he was concerned and he made a point of showing it any way he could. Maya Angelou said, “You did what you knew how to do. And when you knew better – you did better”. That was my dad, he did what he knew how to do. And when he knew better – he did better. I encourage you to remember all the fun you had with him – cause that was pretty much what he was about – love, laugher, and fun. When he was young he used to say, “Live hard, play hard, die young and leave a beautiful memory”. Looks like he did just about that. 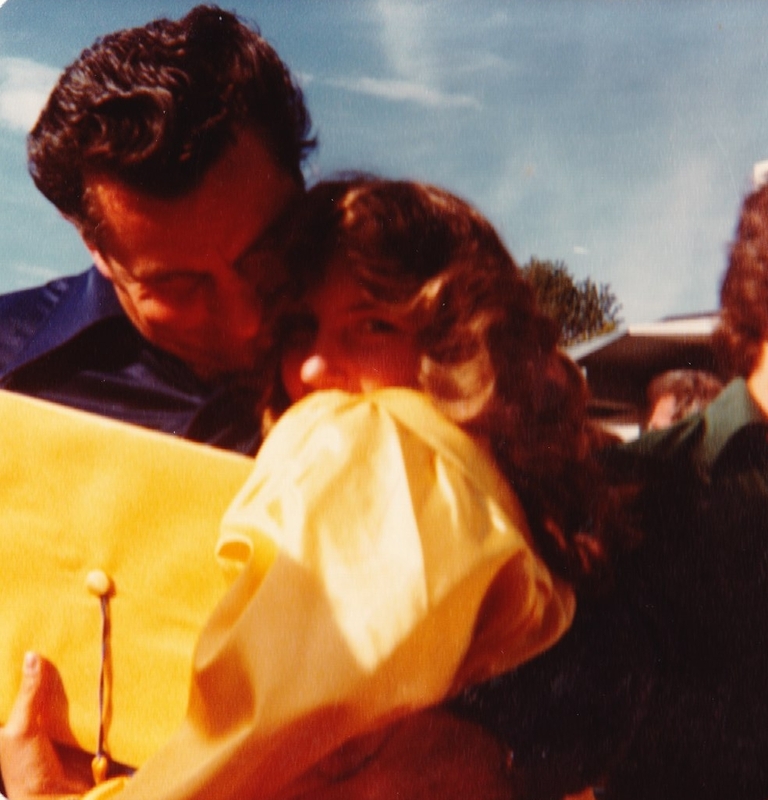 In 1982 my dad accepted Jesus Christ. And though I’m going to miss him every single day for the rest of my life, I know that he lives on today in a place called Heaven. I can see him enjoying every single moment – in a new body, seeing with both eyes, no pain, no sorrow, no limits. And you can bet he’s giving them a run for their money and going as fast as he can possibly go, then resting fully in the arms of Love.